The Queen’s Beasts bullion range takes its inspiration from hundreds of years of royal heraldry. The background for this range comes from the coronation of Her Majesty The Queen, where ten heraldic beasts stood guard, The Queen’s Beasts, sculpted by James Woodford RA for the coronation ceremony. 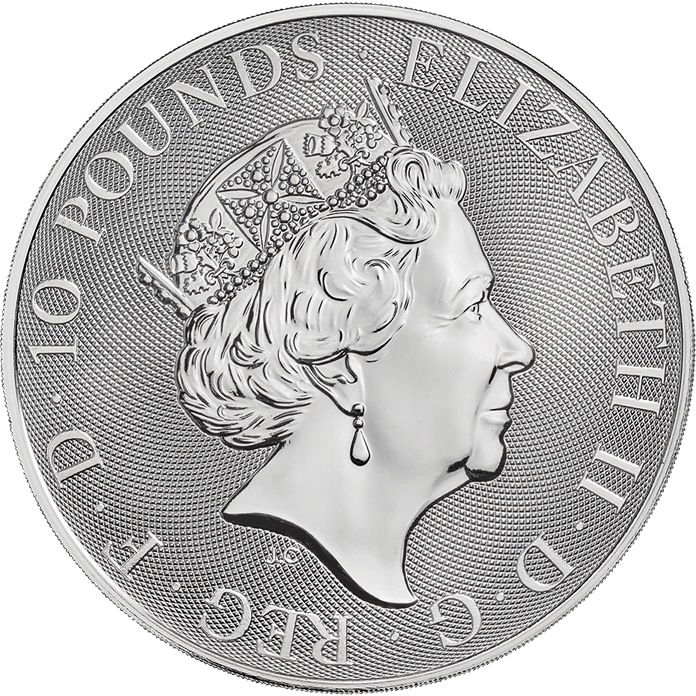 The coins each depict one of The Queen’s Beasts, reimagined by Royal Mint Coin Designer Jody Clark. Jody also created the latest definitive coinage portrait of The Queen to appear on United Kingdom coins. His bold interpretation of the Lion of England was the first to be released, followed by the Griffin, associated with Edward III. 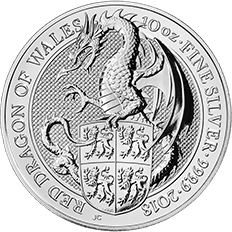 The Welsh dragon was used in the Royal Arms in the sixteenth century and represents sovereignty and power. 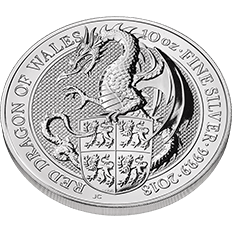 The Red Dragon of Cadwallader is the emblem of Wales and is the third in a series of ten designs that will celebrate each of The Queen’s Beasts. 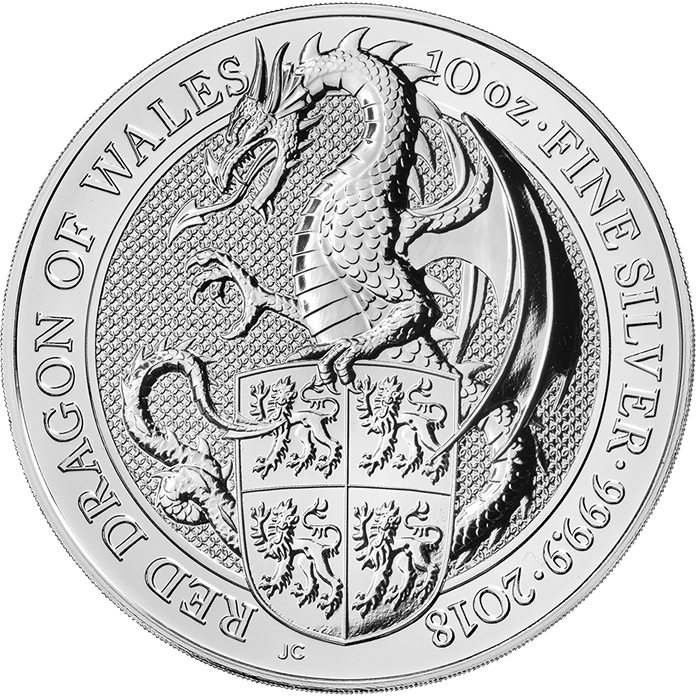 The Red Dragon range is also available as a one-ounce gold coin, quarter-ounce gold coin, two-ounce silver coin and a one-ounce platinum coin. Ten coin tubes are also available for the two-ounce silver coin and the one-ounce gold coin.